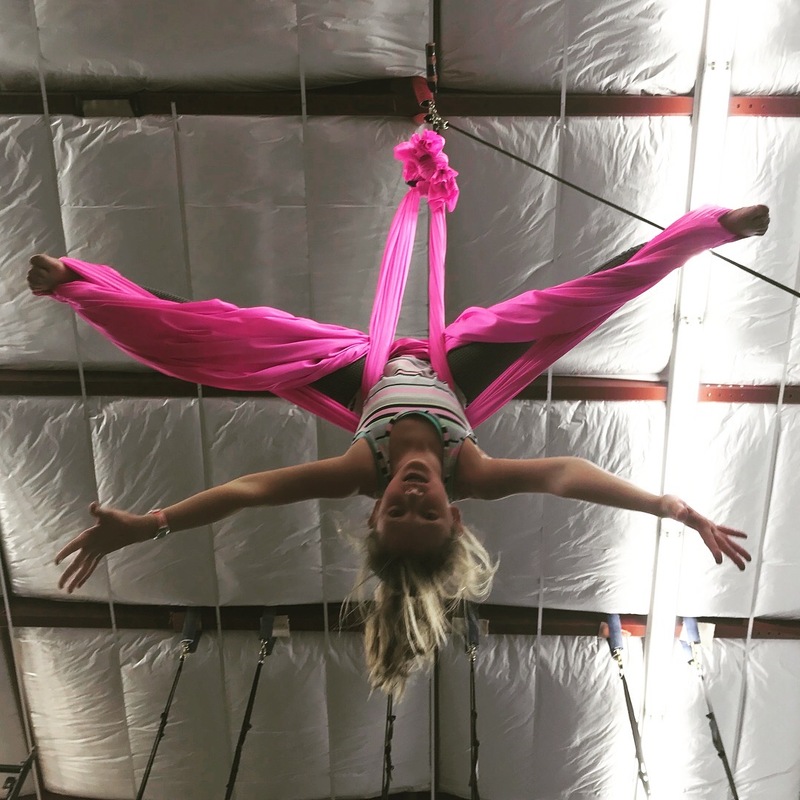 Prior to taking any Circus Aerial group class, students must attend a one time Intro to Circus aerials class. 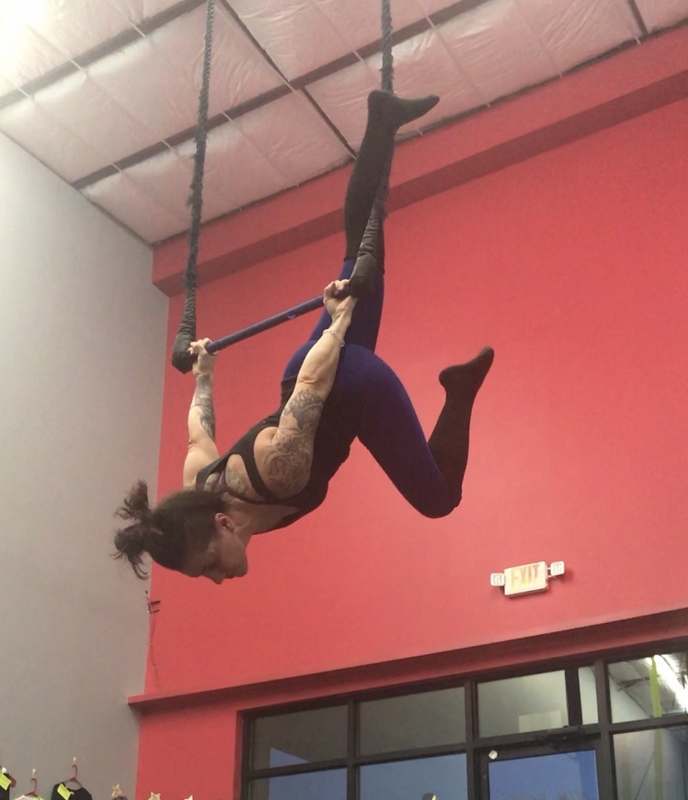 This Intro lesson will teach you the basic movements, warm up exercises and climb technique so you are ready to join group classes! 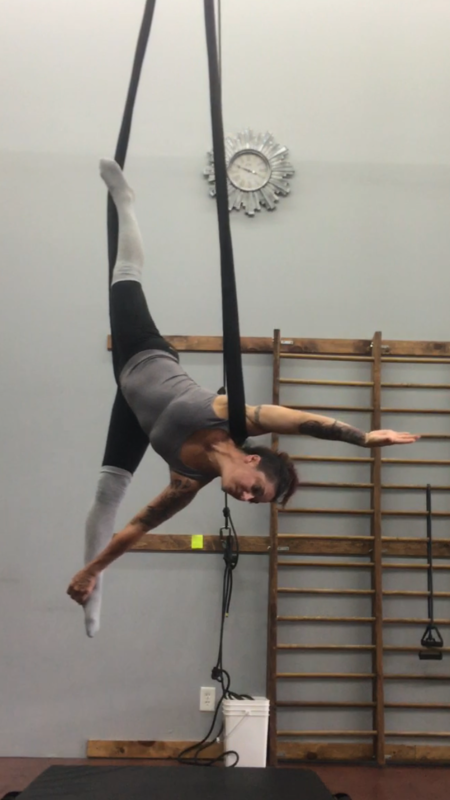 This class is required even if you have taken circus aerial classes somewhere else. 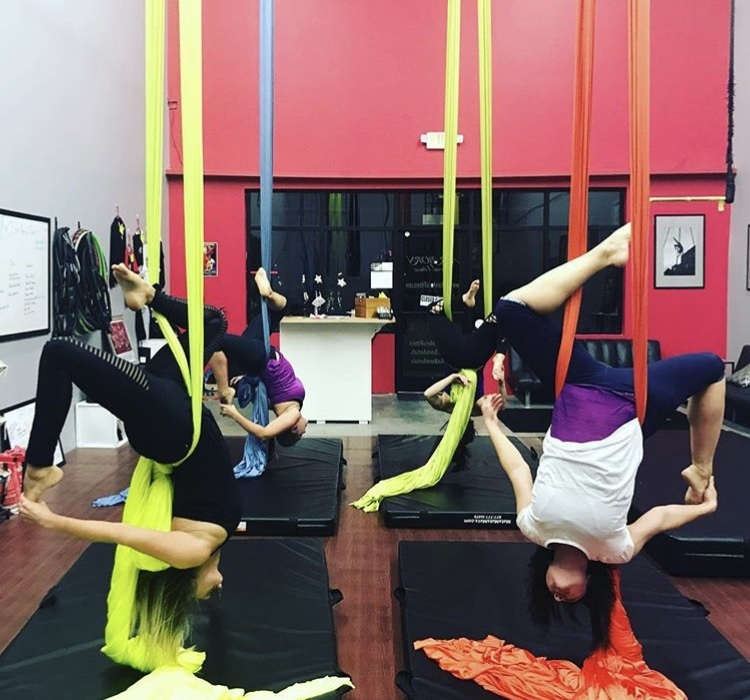 If you are unable to find an Intro class that works for your schedule, a one time private lesson can substitute for the Intro class. 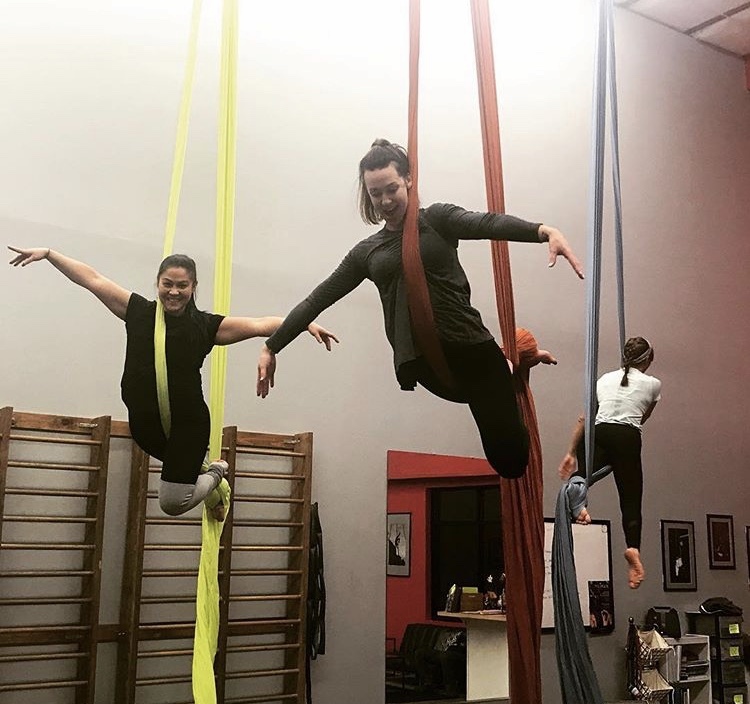 This will help you get into our group classes sooner! 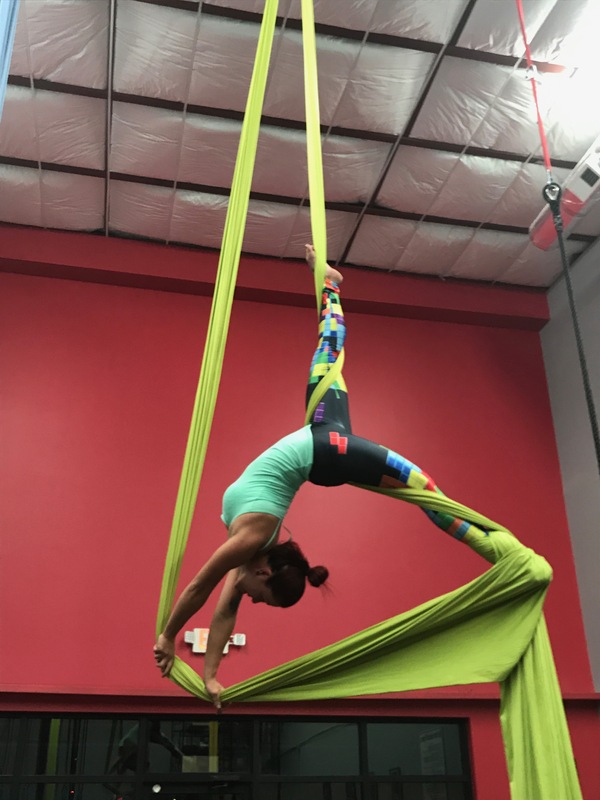 These classes are for those who wish to be with others at their same skill level. Students will never feel left behind or out of place. 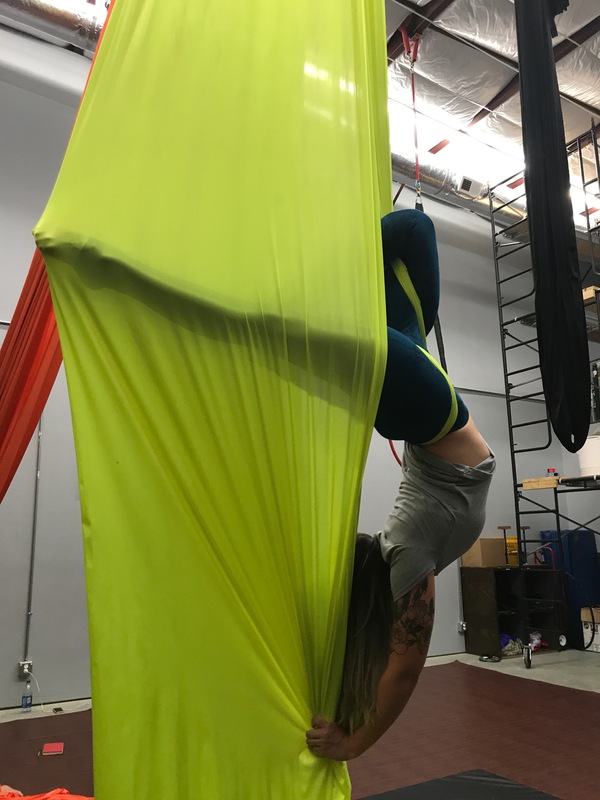 These classes focus on building a strong foundation from the ground up, so when you are in the air you are strong and confident! 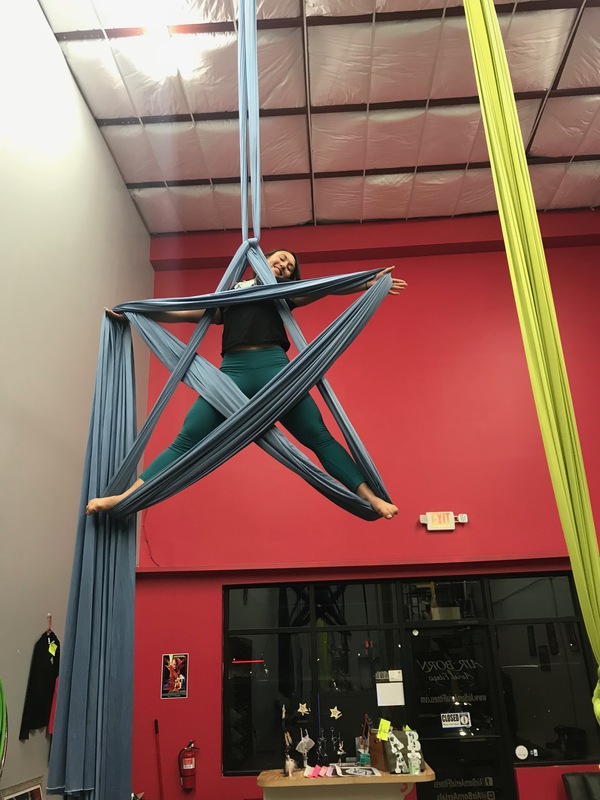 Fabric fundamentals is a large part of these classes. 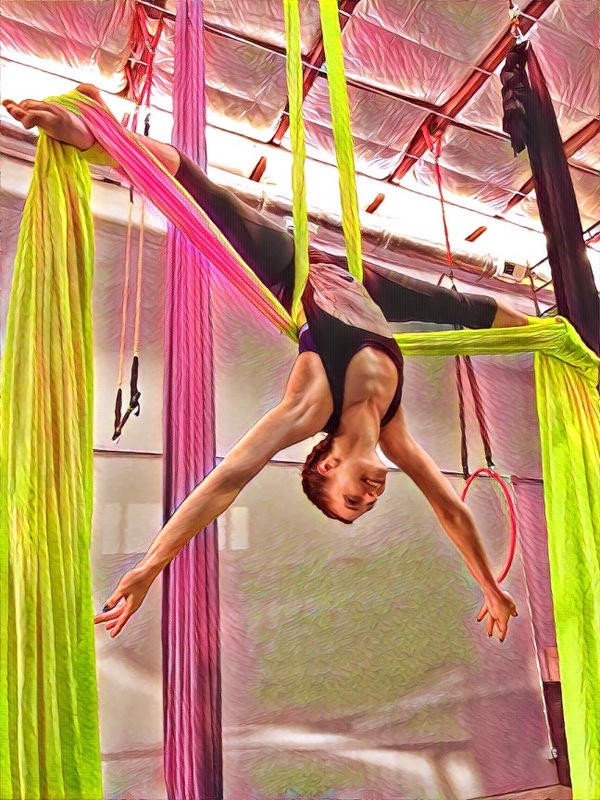 However, instruction also includes trapeze, hammock and lyra. Walk out the door feeling confident in the amazing things you can do! 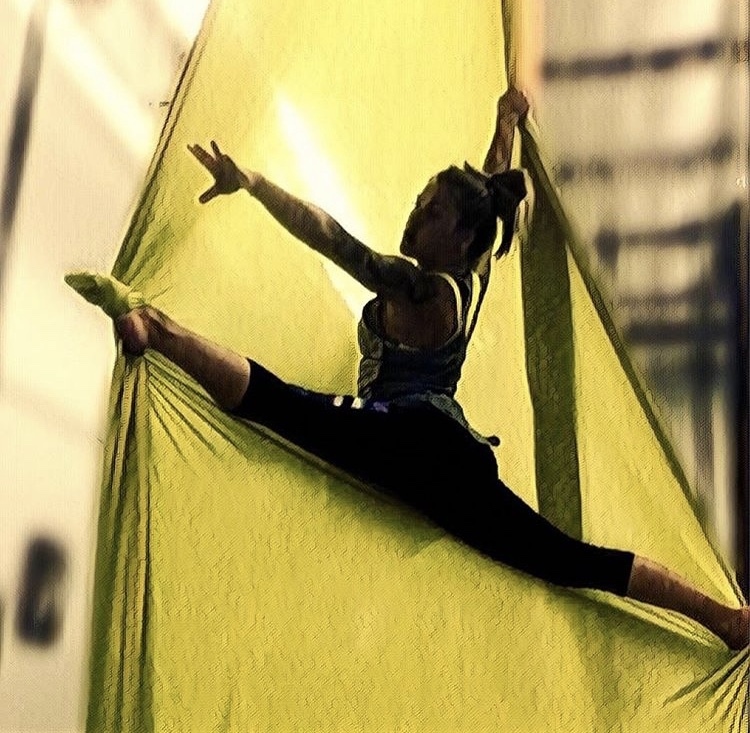 All students welcome to attend Level 1 AFTER taking the one time Intro to Circus Aerials class. 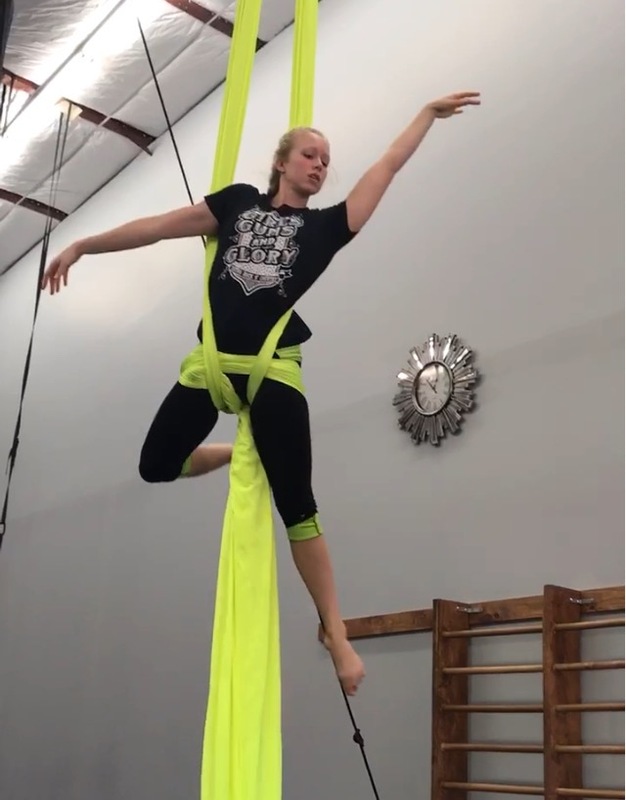 Students will really expand their aerial knowledge as they are challenged phyically and mentally! 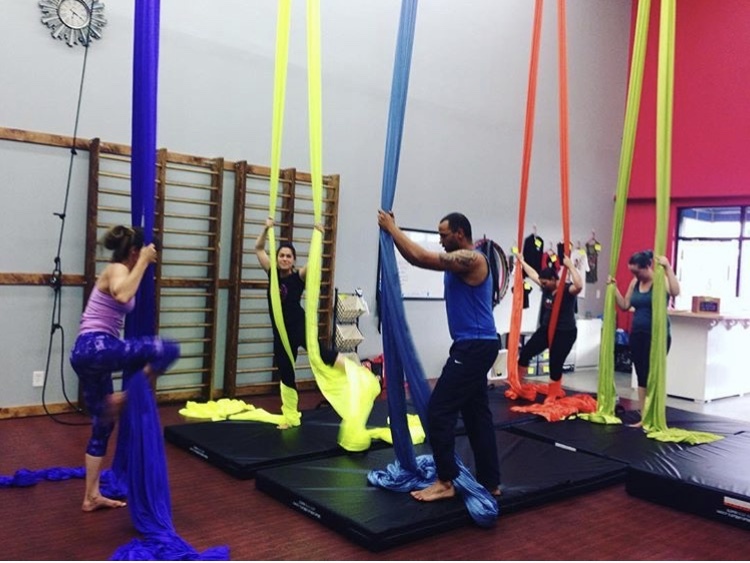 Air Born students never plateua or get bored with their classes because there are always new goals to meet, always new challenges to accept and skills to learn! 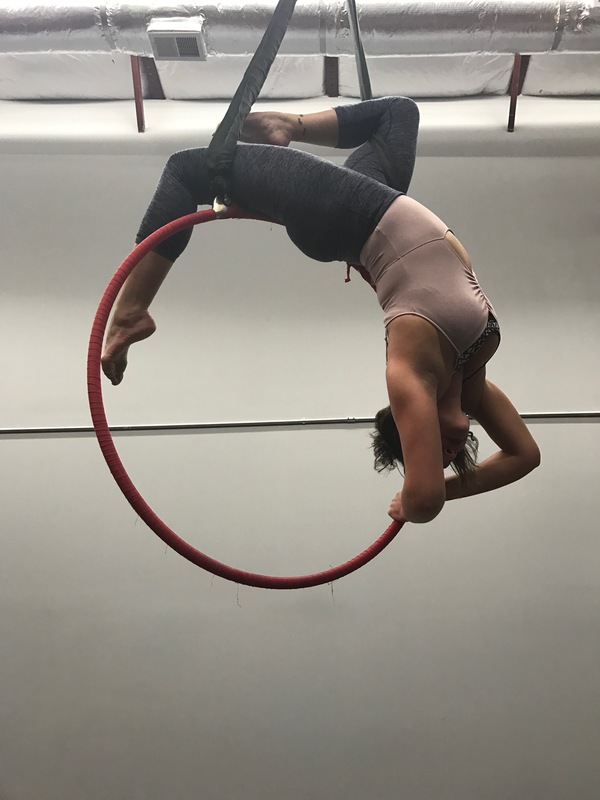 In these levels, students will learn more advanced wraps and drops, figure out transitions and design sequences to really find their "Inner Circus"! Each class will focus on the specific equipment listed. Open to all skill levels, each student will have guided instruction designed to meet their needs. 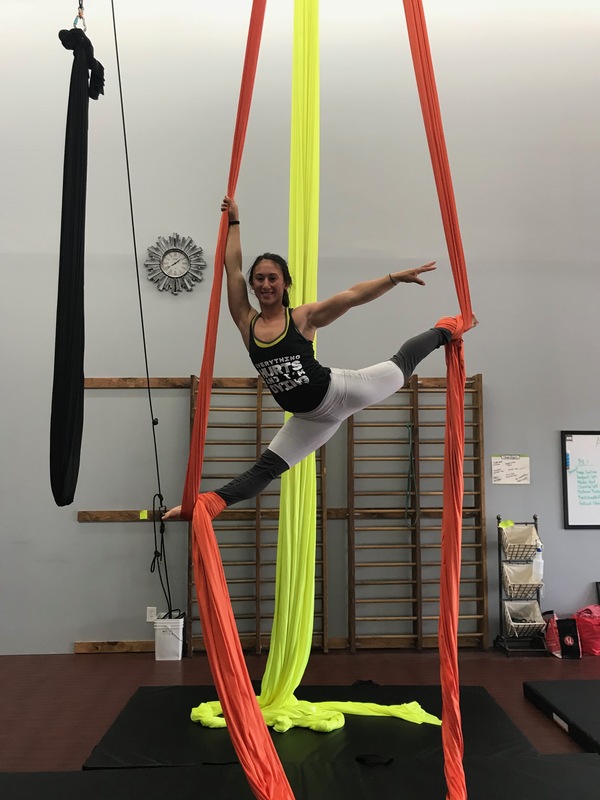 Students who are at Beginner levels 1 and 2 are encouraged to also attend apparatus specific classes to build strength and expand their skills in order to test to the next level. 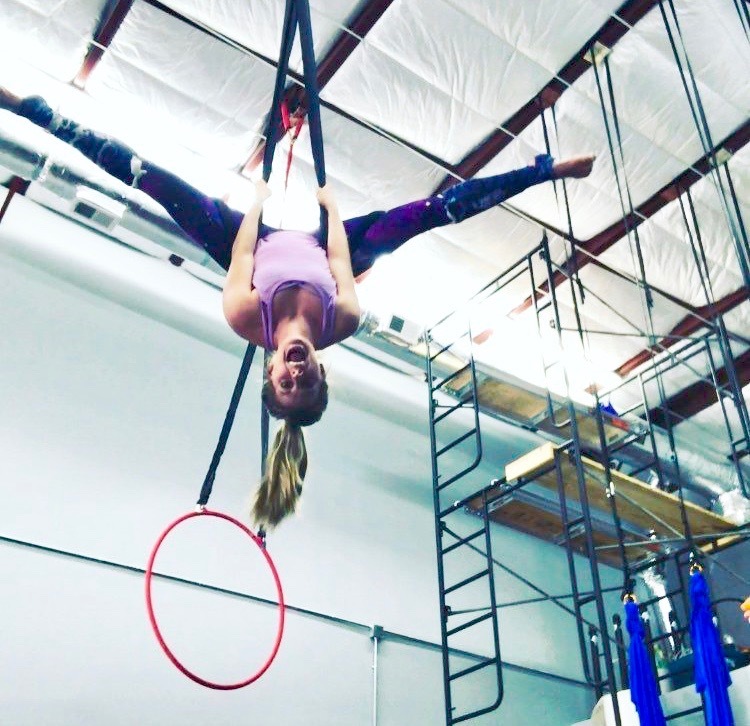 * Intro to Circus Aerials is still required prior to taking these classes. These are not structured lessons. An instructor is on site to provide safety, spotting and guidance. Open Workouts are great opportunities to review skills learned in class. This helps when students are wanting to progress to the next level or practice for a sequence/performance. They don't have to run away to join the circus! 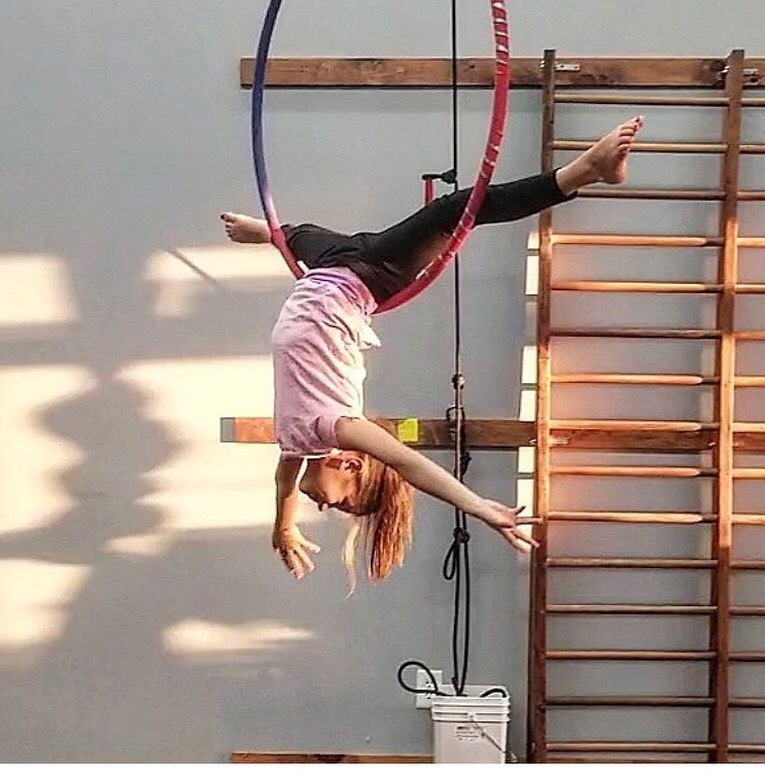 Once a week our circus kids get build strength, flexibility and discipline. 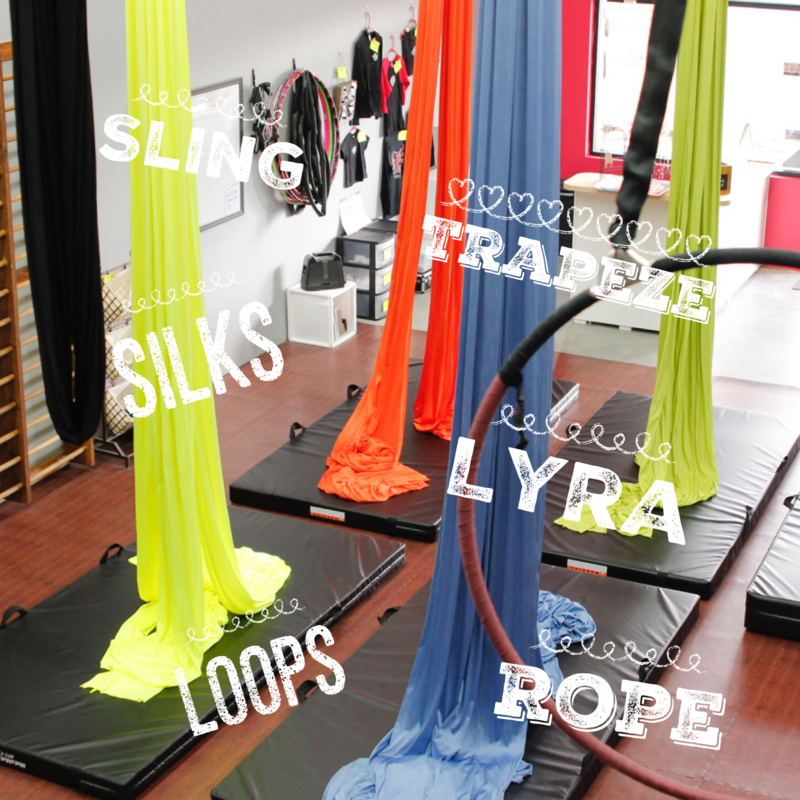 All while allowing them to be creative and have fun on our aerial equipment. We build strong foundations first; focusing on safety and proper technique. Important Note: Ages 7-17 only. 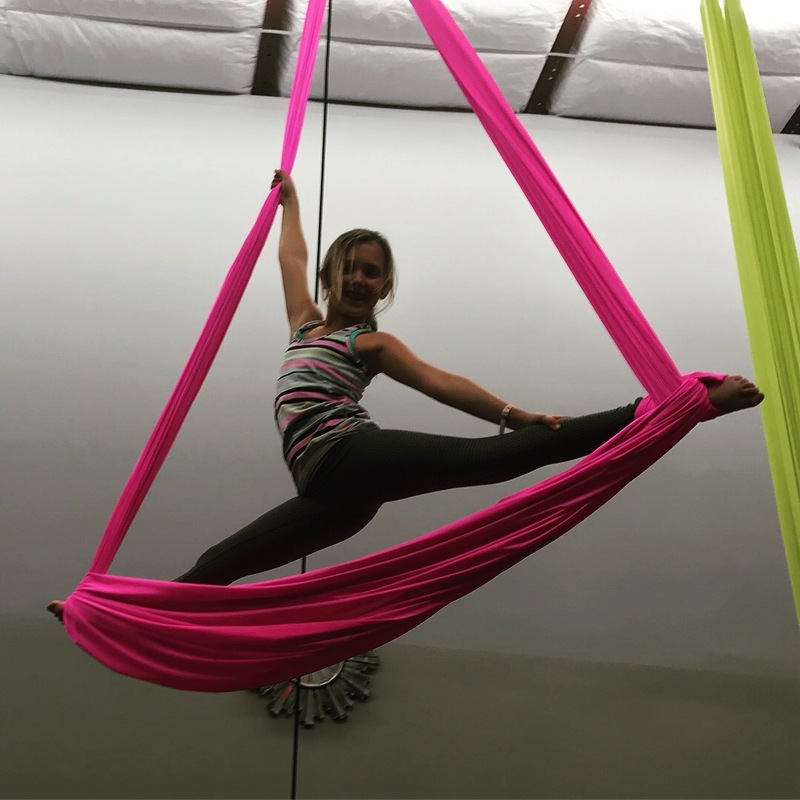 All students in this age bracket must start in the Aerial Youth Classes or private lessons. 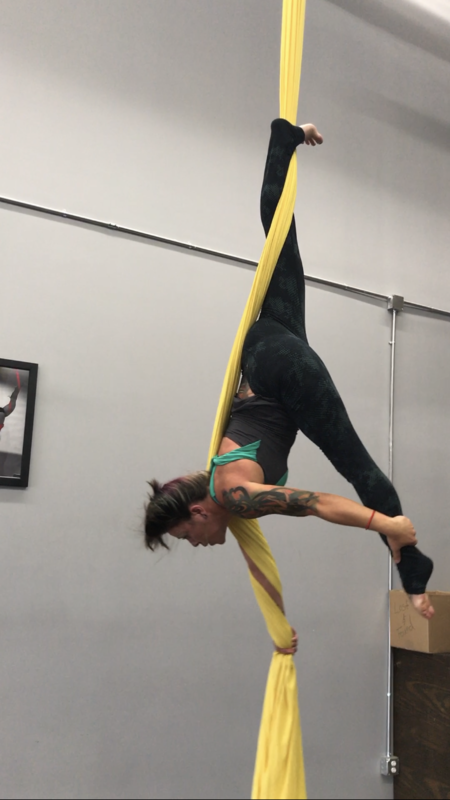 Instructor permission required to move to adult classes. 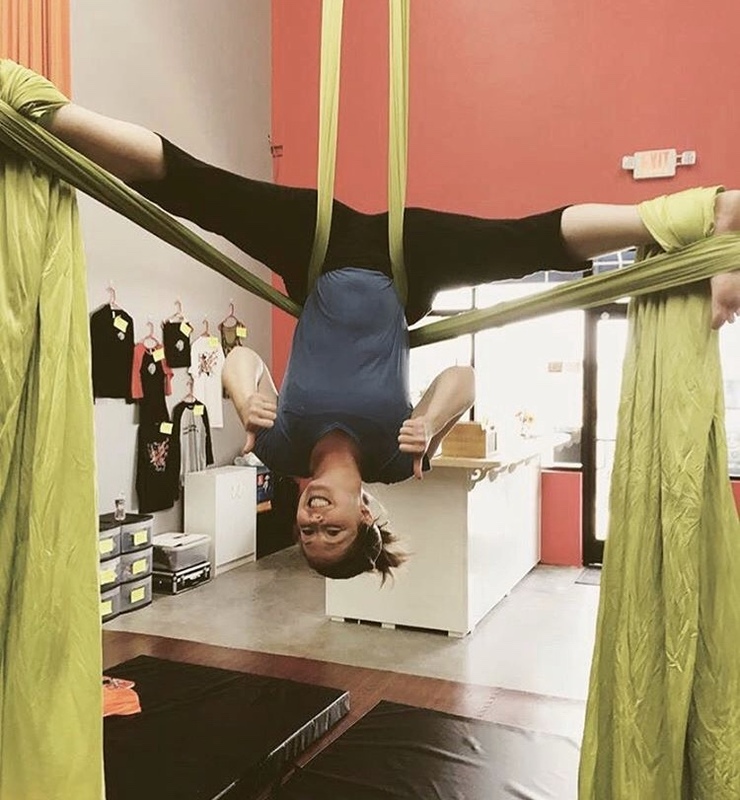 Also, Intro to Circus Aerials is NOT required for this age bracket. 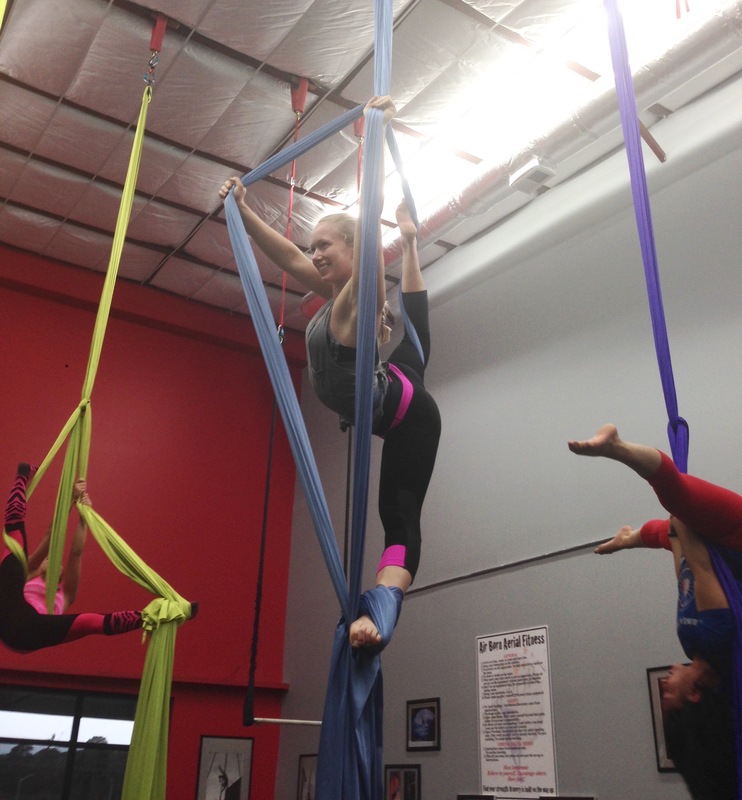 Students can join in any time for our regular weekly Aerial Youth classes. Registration on line prior to attending still applies. We cannot accept walk-ins. Don't see what you're looking for? 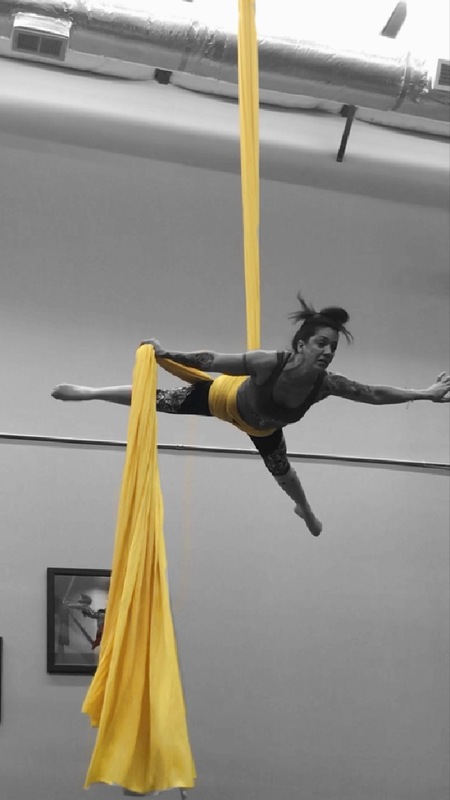 Check out all of the class descriptions on our Aerial Yoga page!